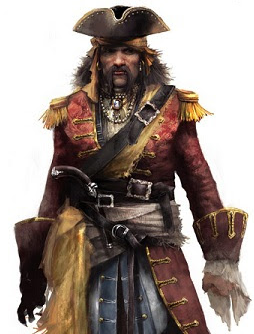 Bartholomew Roberts (17 May 1682 – 10 February 1722), born John Roberts, was a Welsh pirate who raided ships off America and West Africa between 1719 and 1722. 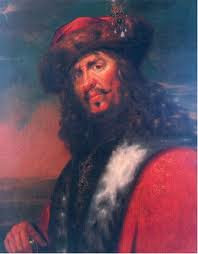 He was the most successful pirate of the Golden Age of Piracy, as measured by vessels captured, taking over 470 prizes in his short career. Roberts was quoted as saying ... "In an honest service there is thin commons, low wages, and hard labour. In this, plenty and satiety, pleasure and ease, liberty and power; and who would not balance creditor on this side, when all the hazard that is run for it, at worst is only a sour look or two at choking? No, a merry life and a short one shall be my motto." 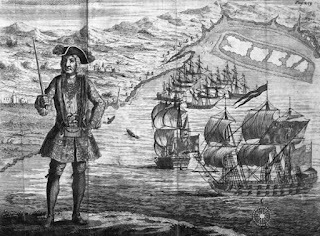 On 10 February 1722, the HMS Swallow returned to Cape Lopez and found Black Bart's flagship Royal Fortune. On the previous day, Roberts had captured the Neptune, and many of his crew were drunk. 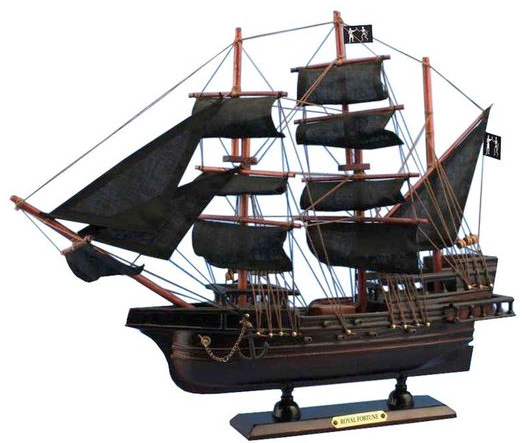 The pirates' plan was to sail past the Swallow, which meant exposing themselves to one broadside. Once past, they would have a good chance of escaping. The helmsman failed to keep the Royal Fortune on course, and the Swallow was able to approach to deliver a second broadside. 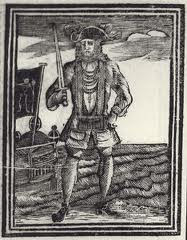 Roberts was killed by grapeshot, which struck him in the throat while he stood on deck. 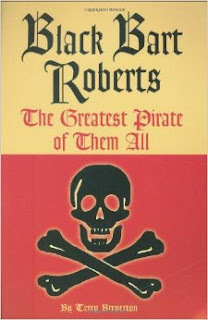 Roberts' wish to be buried at sea was fulfilled by his crew, who weighed his body down and threw it overboard after wrapping it in the ship's sail.